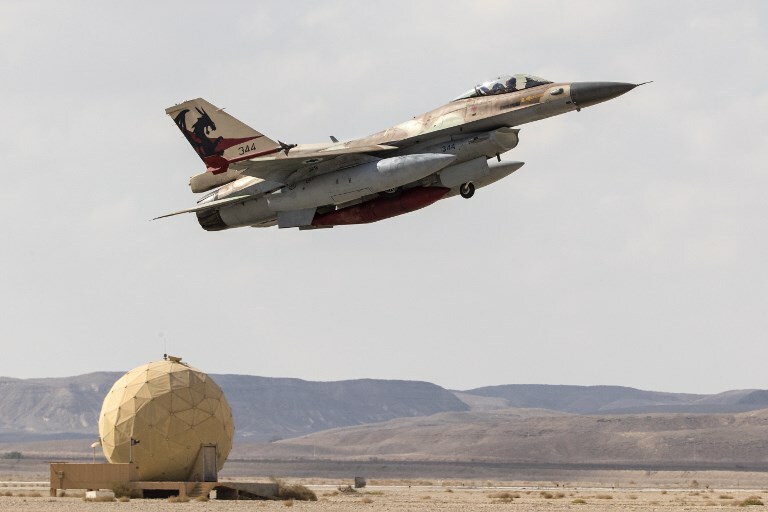 OVDA AIR BASE – Way down, down in the Negev Desert — or, more accurately, in the skies above it — the countries of Falcon Land and Nowhere Land are waging a vicious aerial war, with dozens of fighter jets dogfighting and bombing each other’s infrastructure. So far there have been no casualties in these air battles — and that’s just how the two sides would like to see it. 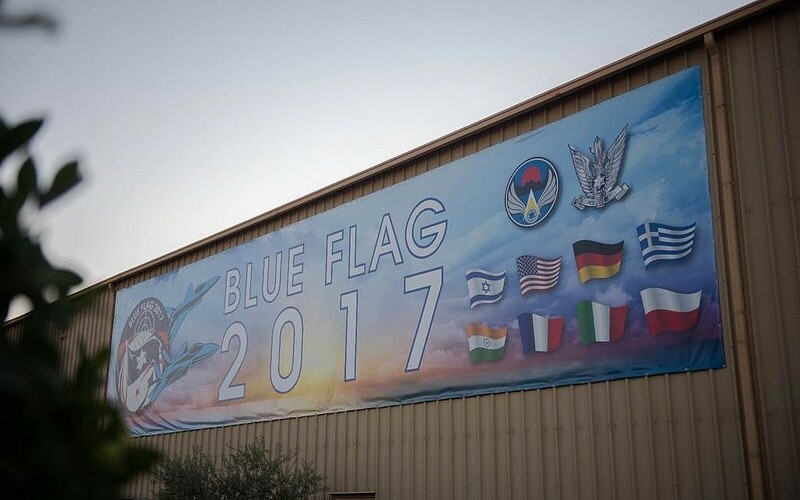 The Falcon Land-Nowhere Land war is the centerpiece of the Israeli Air Force’s biennial Blue Flag exercise, in which seven foreign countries are participating and many more are scheduled to visit. The fictional Falcon Land, the so-called “blue team,” is made up of the seven foreign countries — India, Germany, France, Italy, Poland, Greece and the United States — and Israeli Air Force squadrons. 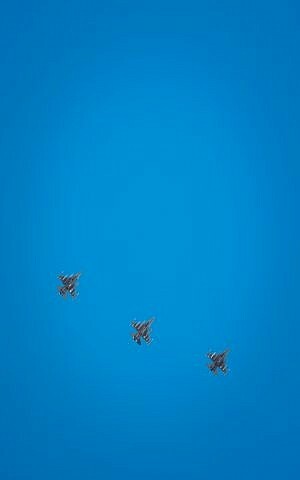 Their opponent, Nowhere Land, is led by the IAF’s Red Squadron, a unit of F-16 fighter jets that are used in exercises to mimic enemy aircraft. The Red Squadron is joined in Nowhere Land by a surface-to-air missile battery and drone units. The 11-day exercise, which kicked off on Sunday, will include over 1,000 people, five different types of fighter jets, dozens of aircraft and hundreds of sorties in what will be the IAF’s largest aerial exercise to date and the largest in the world in 2017, according to the Israeli military. It is Israel’s third time hosting Blue Flag, which began in 2013 and has grown larger each time. 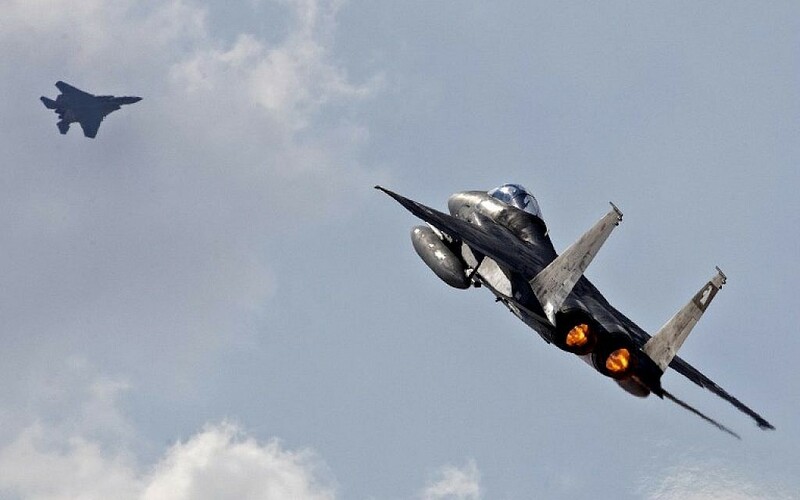 Israeli Air Force officials said the objective of the exercise was three-fold: strengthen diplomatic relations between the countries, expose the participating militaries to new tactics and techniques, and improve military cooperation by forcing the air forces to work together. 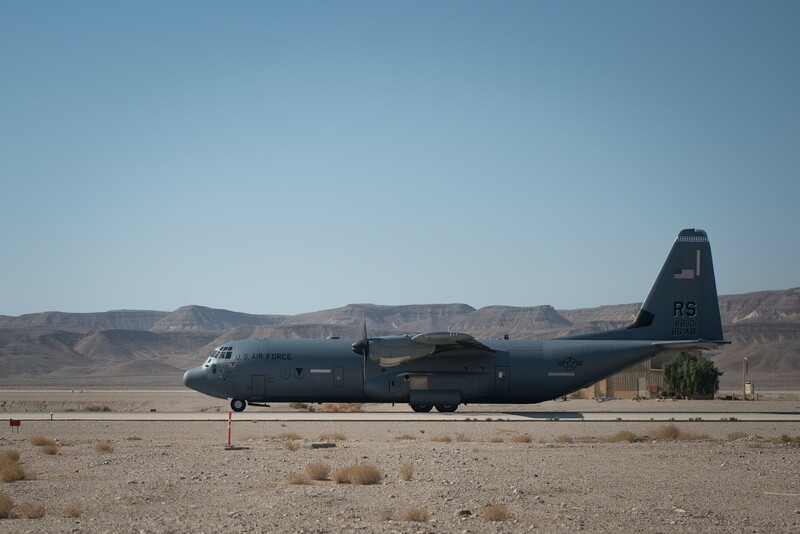 Located an hour’s drive north of Eilat and two-and-a-half hours south of Beersheba, the Ovda air base is about as remote as you can get in geographically tiny Israel. 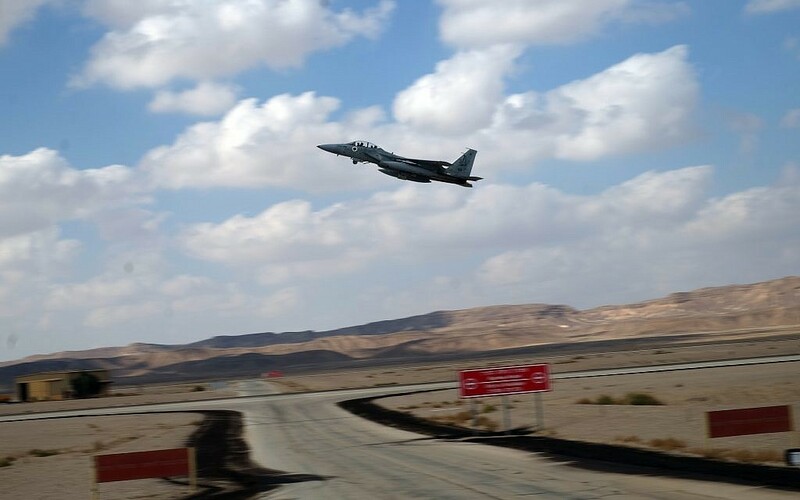 With few buildings in the barren landscape, pilots had the opportunity to fly low and fast over the “high-tech aerial playground” where the exercise is being conducted, said Col. Itamar, the base’s commander who for security reasons can only be identified by his first name. 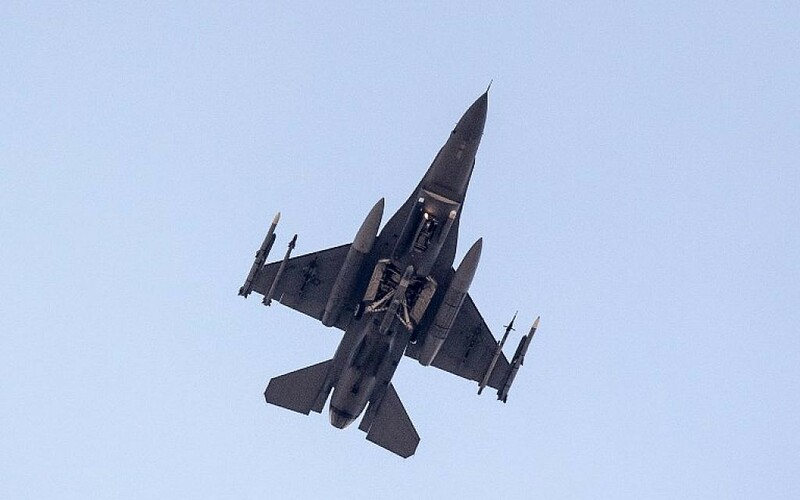 The dogfighting and surface-to-air attacks are all simulated, but some of the bombing is real, though the targets are empty patches of desert, rather than actual military installations, Col. Itamar told journalists who were flown down to the exercise from Tel Aviv by the IDF. In addition to being Israel’s largest aerial exercise, this drill is also marked by a number of firsts. 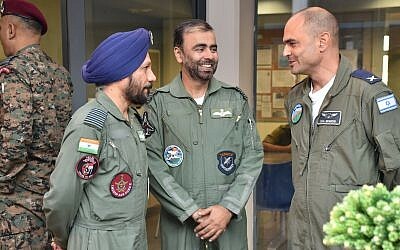 The Indian, German and French delegations are all here for the first time, while Poland, Greece, Italy and the United States have all participated in previous exercises. India sent a C-130J Hercules transport plane and a contingent of special forces soldiers. They will both take part in Blue Flag — one mission will require the “blue team” to drop commandoes behind enemy lines and retrieve them — and they will travel to central Israel in order to conduct training exercises with their IDF counterparts. 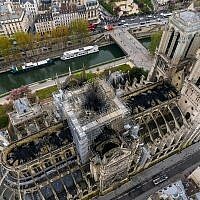 Meanwhile, the Germans sent six Eurofighters; the French sent five Mirage 2000AD fighter jets; the Italians sent five Tornado jets of two different variations; and the US, Poland and Greece sent seven, six and five F-16 fighter jets, respectively. 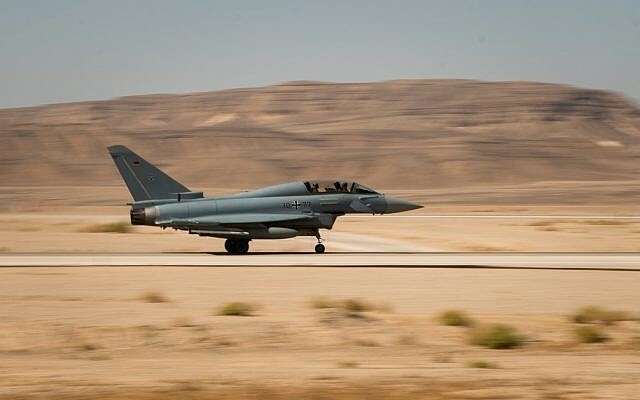 While Israel and Germany have trained together before, this was the first time in nearly 100 years, since World War I, that Luftwaffe fighter planes flew over Israel, then-Ottoman Palestine. 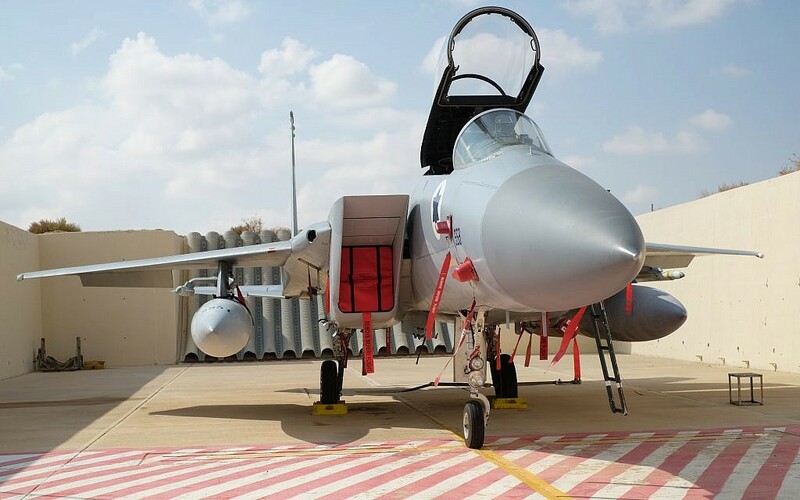 Col. Itamar recognized that the notion of German fighter planes bearing the Iron Cross flying over the Jewish state symbol evoked mixed feelings among Israelis because of the Holocaust and the German military’s role in it. “Seeing the Luftwaffe airplanes entering our hangars — it’s something I’ll always remember,” Col. Itamar said. “It’s sensitive. It’s emotional. The past can’t be changed,” he added, but noted the close military and diplomatic ties the two countries have enjoyed in recent decades. The Indian participation is seen as a sign of strengthening ties between New Delhi and Jerusalem. In July, Indian Prime Minister Narendra Modi visited Israel, making him the first Indian premier to do so. A month before, India, which is a central importer of Israeli military equipment, helped sponsor the renowned Israeli Defense Expo in Tel Aviv. And in May, three Indian Navy ships docked in Haifa for an official visit, marking 25 years of diplomatic relations between the two counties. 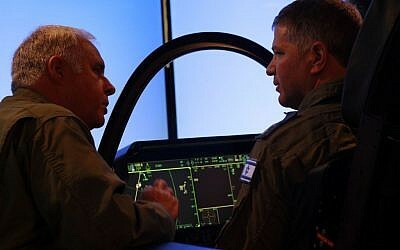 According to Col. Itamar, more air forces wanted to participate, but the IAF capped the participation at eight countries. 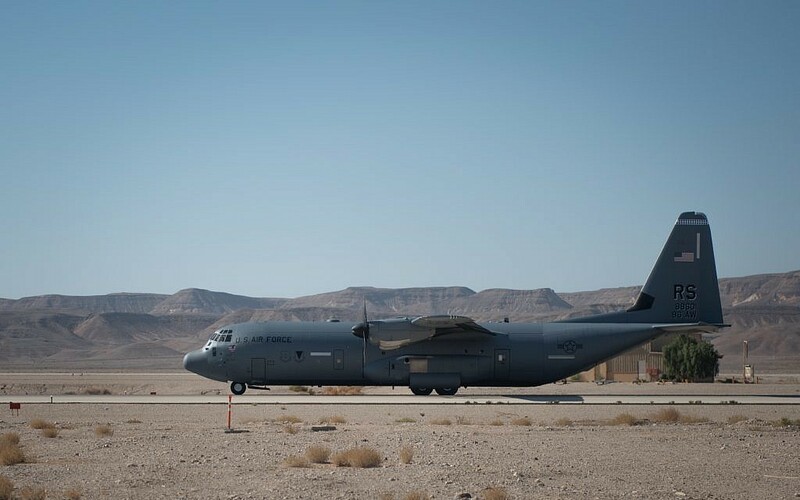 In order to coordinate the large exercise, the air force brought in a private contractor to handle the logistics, a fairly uncommon measure for the resource-rich Israeli Air Force. “Sometimes you need a little extra help,” Col. Itamar said. Israel ascribed strategic importance to the exercise, which brought together countries that don’t often cooperate in real-world missions or share the same enemies. 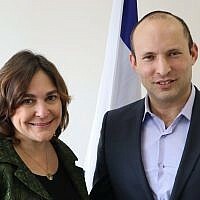 For Israel this type of cooperation, which is “without a specific target or mission, but is based on friendship,” is increasingly important, as many existing international organizations and alliances that are focused on a specific goal are “falling apart,” Col. Itamar said, referring to groups like the North Atlantic Treaty Organization. This year’s Blue Flag exercise was also the first one in which the Patriot air defense system was deployed, though there were no live fires, only simulated launches. 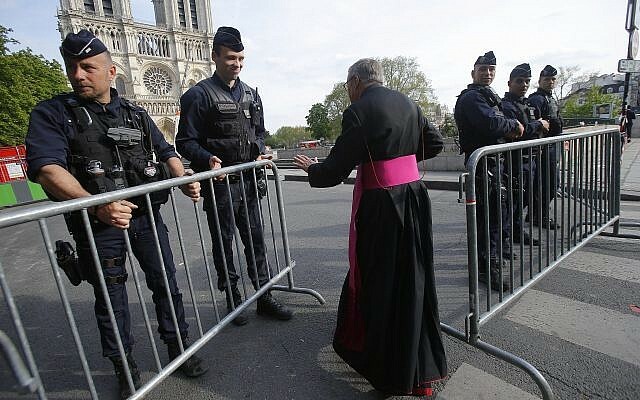 “Everything we’ve been allowed to target, we’ve knocked down,” he said, on the second full day of the exercise. 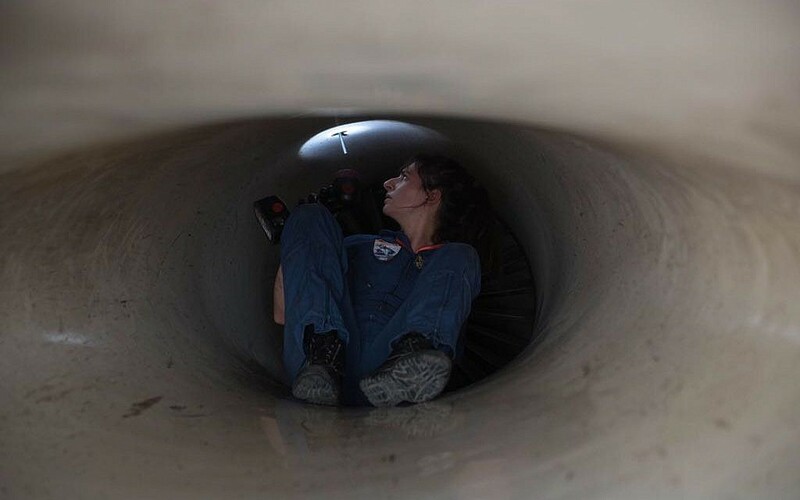 Working to counter the Patriot battery were the Falcon Land’s Italian Tornado fighter jets, which are designed for electronic warfare to take out enemy air defenses. 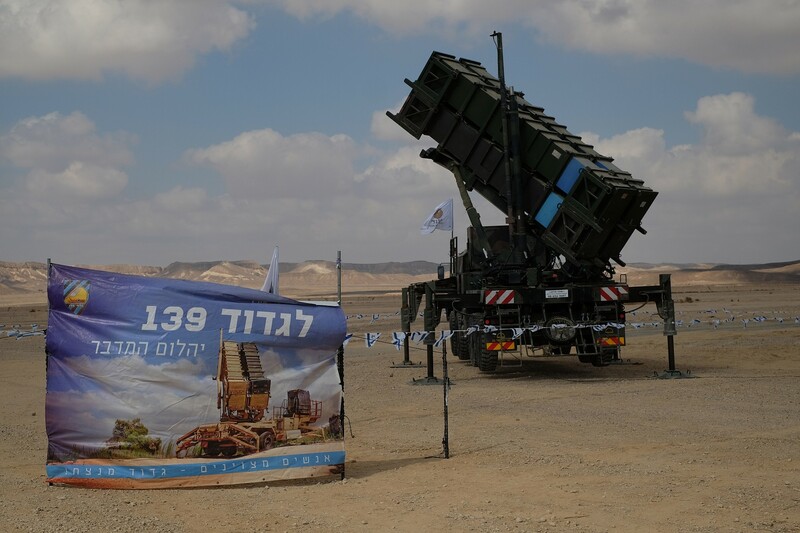 The lieutenant colonel who led the Italian delegation (his name cannot be published) said it was a challenge to take on the Patriot system and that they would be trying different tactics to defeat it. “Our perspective is, let’s learn what we can do and then share it [with the other participants],” he said. The IAF specifically designed the Blue Flag exercise to be generic, rather than geared toward a specific scenario — hence the fictitious combatants “Falcon Land” and “Nowhere Land,” as opposed to “The Coalition” and “Iran,” for instance. Officials said the Red Squadron, which can mimic the capabilities of Russian Sukhoi and MiG fighter jets with their F-16s or adopt the tactics of different countries’ air forces, did not simulate a specific country in this exercise, but instead used a variety of techniques in order to challenge Falcon Land. “They imitated the tactics that will give our ‘blue guys’ the best exercise,” said Col. Itamar. 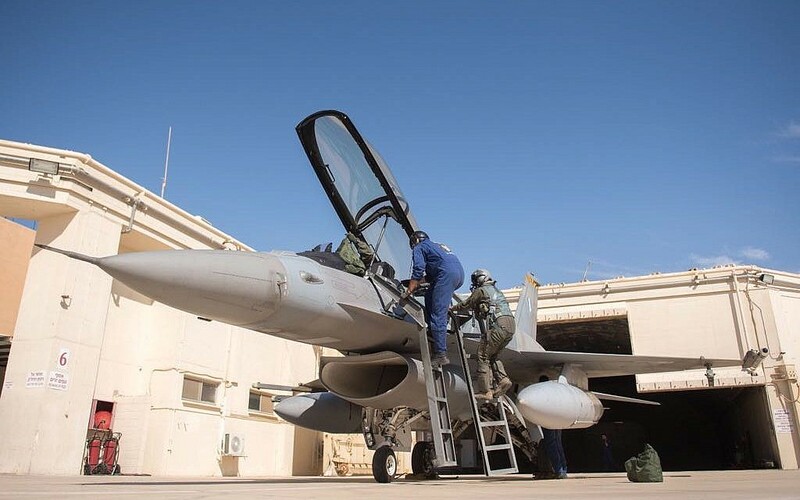 Incidentally, Likud MK Yoav Kisch, an F-16 fighter pilot in the Red Squadron, participated in some of the exercise, flying bombing runs against Falcon Land, he told The Times of Israel on the flight back to Tel Aviv from Ovda. The bulk of the 11-day exercise will center around this fight between Nowhere Land and Falcon Land. But for two days, November 9 and 11, the “blue team” will be divided into two and square off against itself. In order to emphasize the international cooperation, each side will include representatives from every participating country, Col. Itamar said. Approximately 100 sorties will be flown each day of the exercise, some during the day and some at night. Especially for the visiting air forces, this high intensity flying comes with safety concerns. “Flying at night, in a foreign land, in a foreign language — it’s dangerous,” said Col. Itamar. 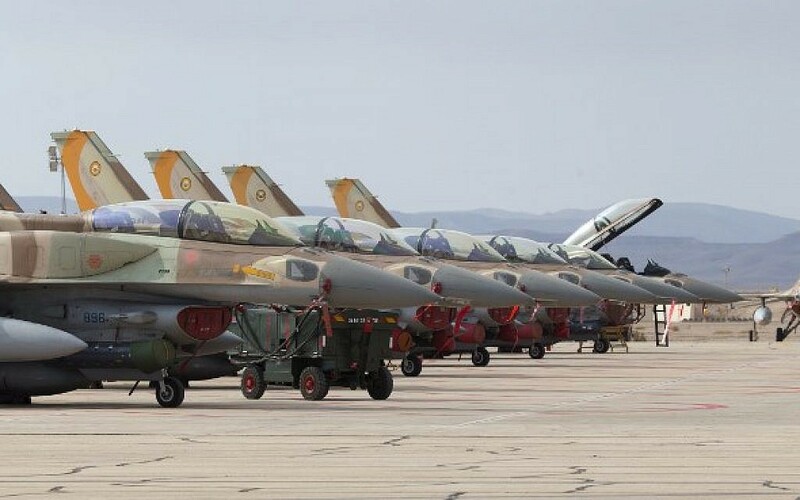 Last year, for instance, a fighter jet and a helicopter crashed during the US Air Force’s Red Flag exercise in the Nevada desert, in which the Israeli Air Force participated. 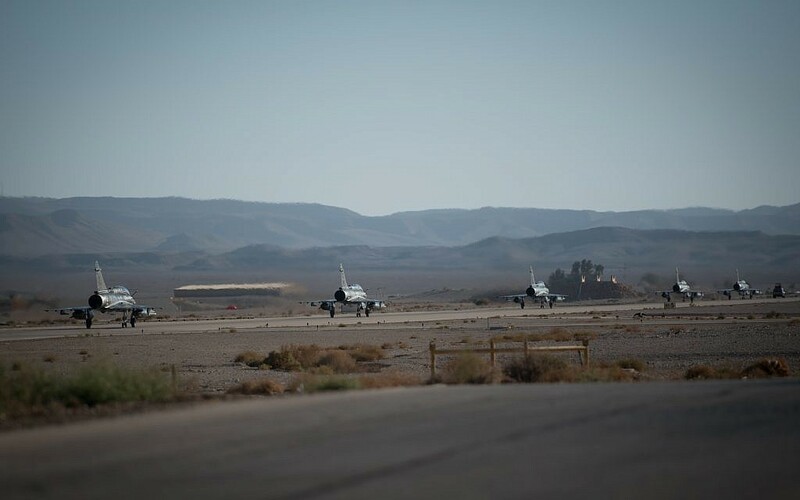 No significant safety violations have yet been reported at the Blue Flag exercise, though there have been some minor issues, like pilots flying slightly outside their designated airspace, Col. Itamar said. 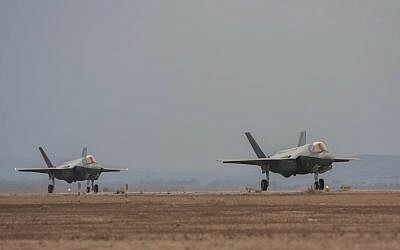 Looking ahead to the Blue Flag exercise scheduled for 2019, the Ovda base commander said that he hopes the F-35 stealth fighter jet will be able to participate, as both the US and Israel possess the state-of-the-art aircraft. 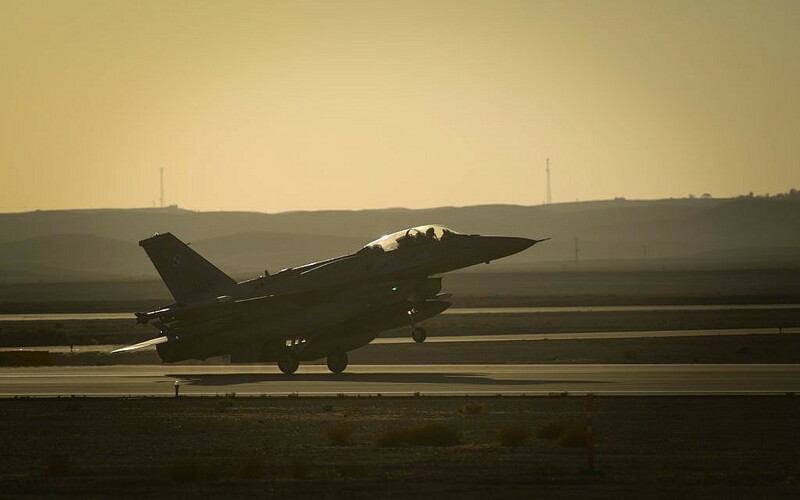 Throughout the exercise, which ends on November 16, the air forces will keep track of interceptions and successful missions in order to see which side wins. 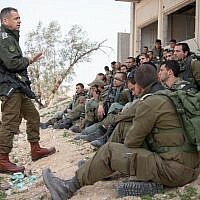 However, Col. Itamar said that information would not be publicized, as it could compromise how candidly the participating militaries speak during debriefings. “Our aim is not to win or lose, but to learn,” the Ovda base commander said. “You can say anything in a debriefing room, and it needs to stay that way. Like the Americans say, ‘What happens in Vegas, stays in Vegas,'” he said.